They were presented today on January 28, 2018 for the 60th time. This time in New York in Madison Square Garden. Congratulations! 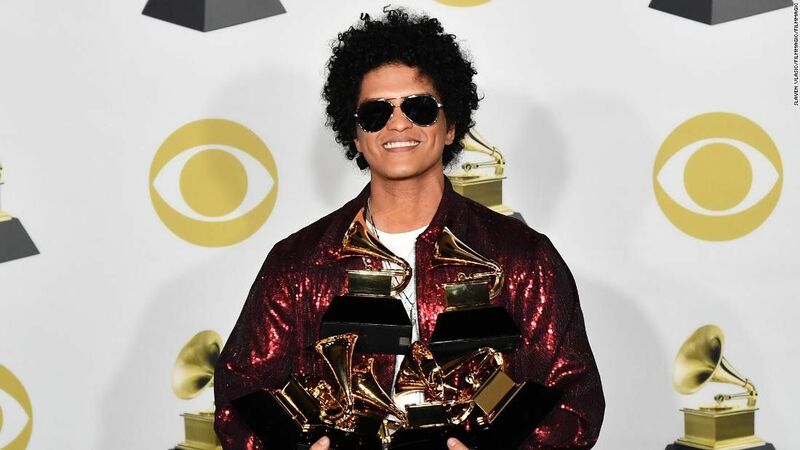 Some media report that Bruno Mars got six statuettes, others say seven. We stick to the number seven, and we counted all night! In the case of analogue film events, awards for sound engineers have always been included in the full pot. Top photo: Bruno Mars with the 2011 award © Recording Academy. All rights reserved. 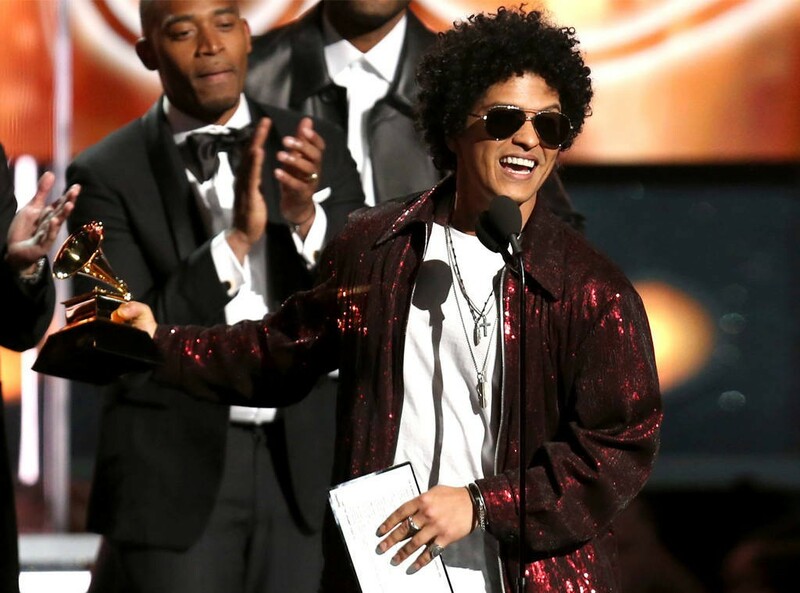 Bottom photo: Bruno Mars receives the Grammy in 2018 © E! Online.